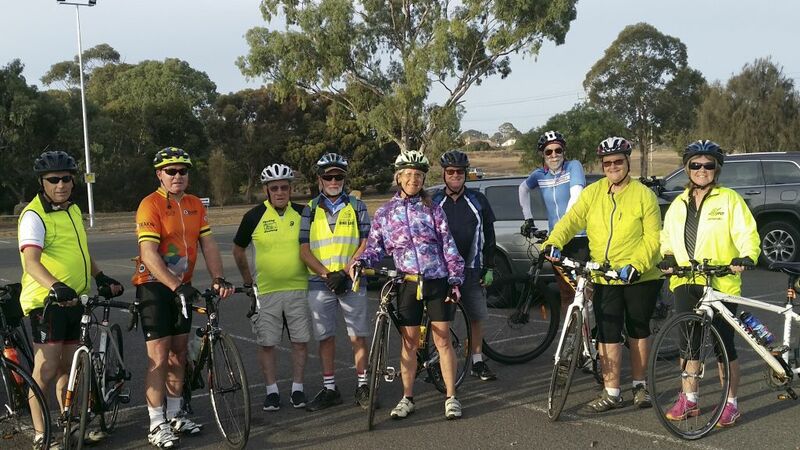 This most successful ride was led by Allan Marshall, with thirteen participants, of whom 11 signed on at 8am at Leisuretime Centre in Anakie Road. 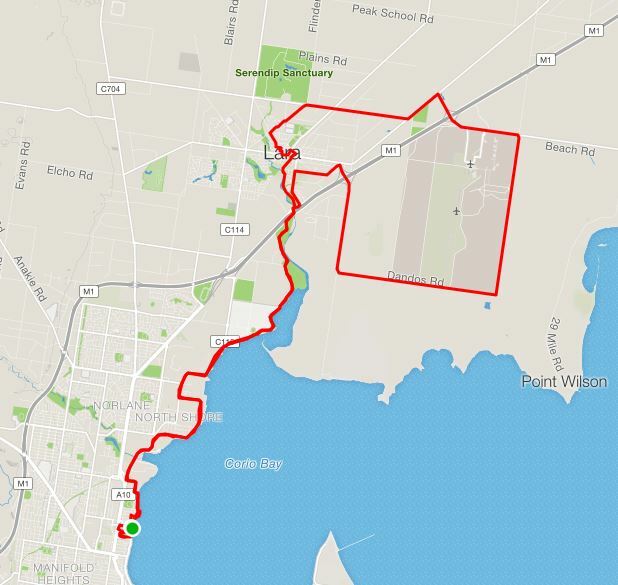 The ride route was via the Ted Wilson Trail to Broderick Road, then via School Road to Shell Parade before joining up with the Hovells Creek trail at Rennie Street. Coffee was at Xpresso Cafe in Lara. The return was via Hovells Creek Path and Ted Wilson Trail. Thanks to Allan for leading and to all participants. 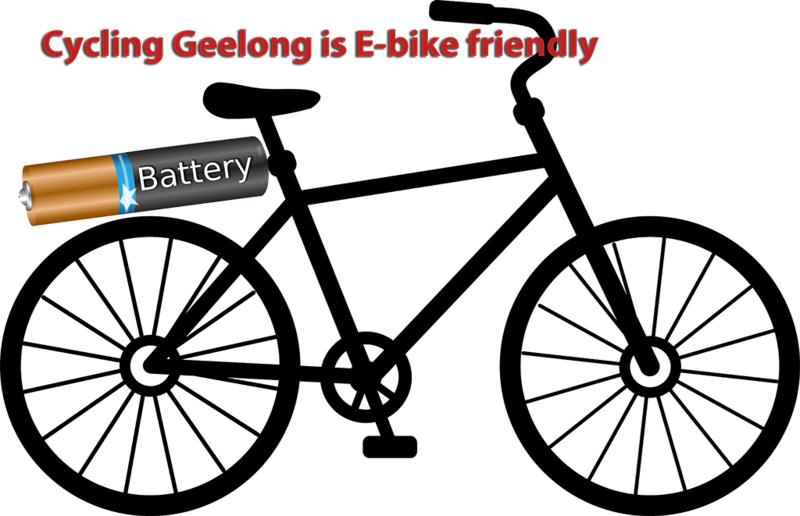 One rider who shall remain nameless missed the ride, due to misreading the starting point – perhaps we need more northern rides, so our members can experience the excellent riding opportunities on the northern side of Geelong. 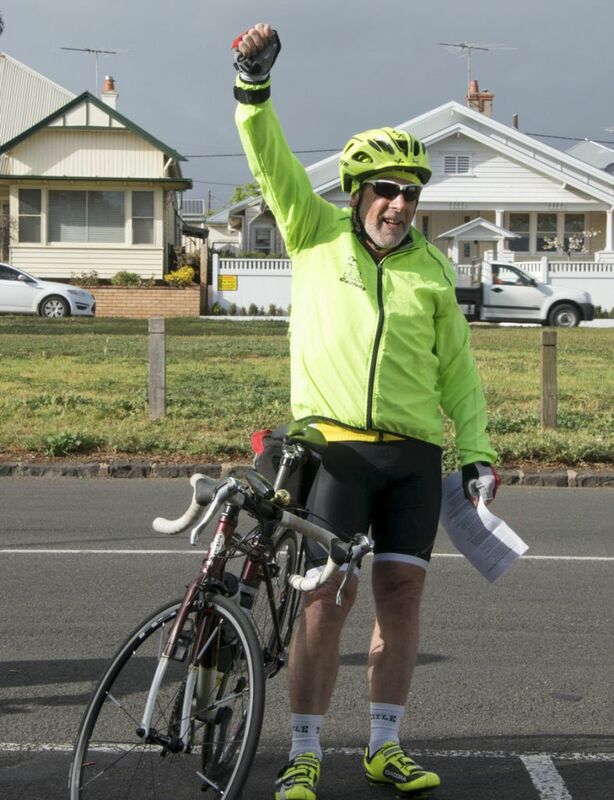 John Hagan led the ride to Lara, with a good turn up of 11 cyclists. 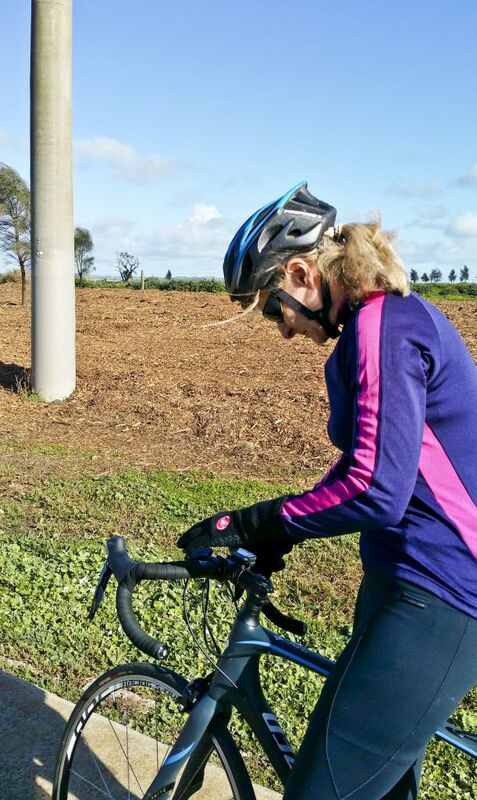 The ride route was along the coast to the Grammar School, then through Corio to Millars in Lara for coffee. The return was via Hovells Creek. There were five riders for the Easter Day ride to Lara. Dave Simpson led the ride, joined at Rippleside Park by Kevin and Helen, and at Limeburner’s Lagoon by Richard and Denise. It was a perfect morning for cycling. Coffee was scarce at Lara, with a pact among coffee shops to close for the break. However, the eternally open McDonald’s produced a good cuppa (even though there were no bike racks for locking up bikes). Thanks to ride leader Dave for the Easter treats – what an act to follow. The ride back to Rippleside Park was as pleasant as the outward journey. 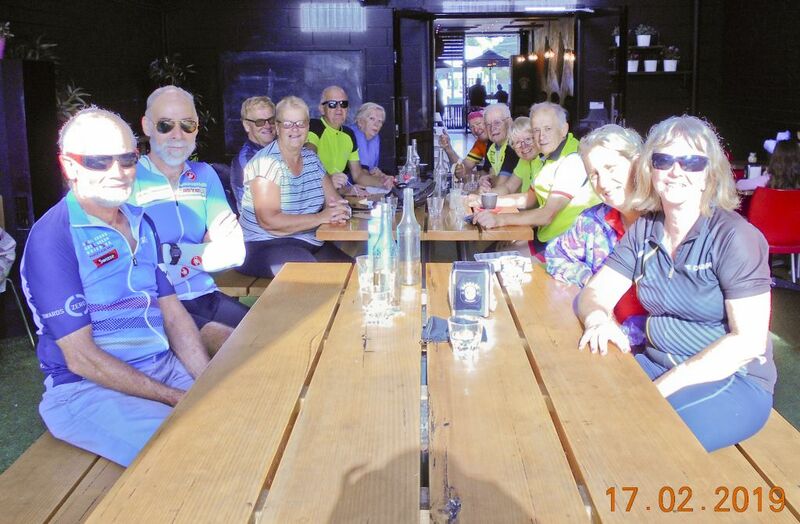 Dave led a relaxed Sunday group of nine cyclists to Lara on Christmas Eve. Andrew volunteered to be tail-ender, and did a most excellent job throughout the whole ride. The other riders were Coralie (on her new racing green Bike Friday), Margy, Geoff, Lynton, John M and Helen. John caught up with the group at the refinery, having slept in. The ride to Lara was easy, assisted by a strengthening northerly wind. Lara coffee shops were closed except for the chain beside the Coles supermarket. Serving coffee to 9 thirsty cyclists, as well as anyone else wanting coffee on Christmas Eve was a difficult task as there was only one worker. However, refreshments and treats were soon consumed and it was back via the same route, a little slower due to the head wind. Thanks Dave and Andrew and all riders for a most enjoyable Christmas Eve ride. It’s been windy the last couple of days with ‘surf’ on Corio Bay, and tree branches down all over! A northerly wind was predicted, to turn westerly ‘around the middle of the day’. A short ride to Lara seemed a safe bet. From the first, it was clear that even at 8.30am, the wind was clearly from the west! As the deadline approached, and no riders appeared, would I ride anyway, or throw in the towel and go to a movie in Melbourne instead? The decision didn’t need to be taken as a solitary rider appeared on Bell Parade. 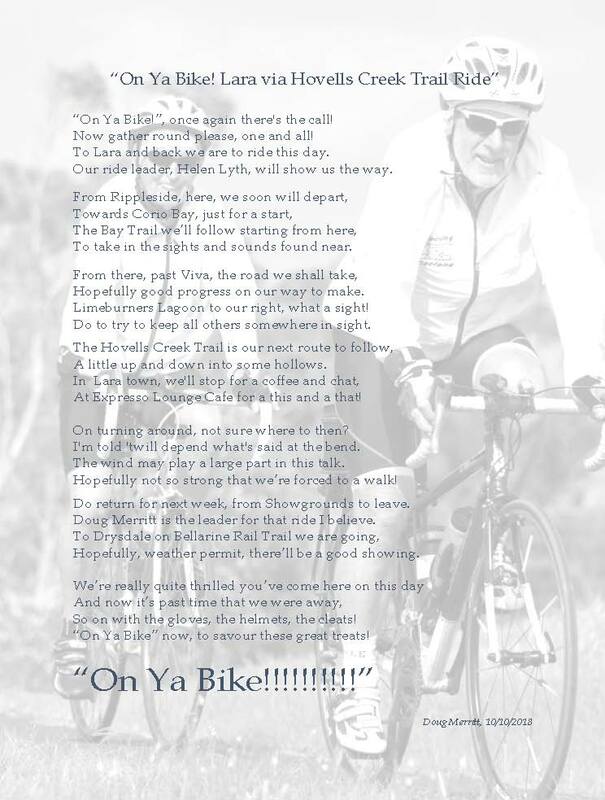 The two of us, Brigid and I (Helen) pedaled north along Corio Bay and over Hovells Creek to Lara. An early coffee break at X-presso was most welcome. The return deviated a little from the original plan, reducing the amount of time riding directly into the gale-force wind. Forest Road still has no sealed shoulders on the busy section between Canterbury Road and the rail crossing, but motorists were pretty courteous this morning, as we battled the cross wind. The Heales Road section was slow, but, once Ted Wilson Trail was reached, there was some protection from noise barriers as we wended our way back towards Church Street. The wind had got the better of this porta-loo at Matthews Road. The Ted Wilson Trail was very quiet. There was only one pedestrian in the whole distance to Church Street and beyond. This is usually a very popular path with cyclists – but there were none to be seen anywhere! I’d forgotten it’s National ‘Plant a Tree’ day. * A bevy of wonderful volunteers were busy along the path near Drysdale Street. Thanks to these people we’ll watch this section of native plants as they develop over the next weeks and years, bringing with them native birds. Big and small – they were having fun and helping the environment. Thanks to everyone and especially the Lyons Club volunteers for running a refreshment stand. For the final 5 kilometres down Church Street, it was a most welcome tail wind. Though a short ride, it was most enjoyable and a good chance to chat on safe bike paths. Thanks Brigid for sharing the ride. As I rode home I spotted one other cyclist – Rolf from GTC returning home along Balmoral Crescent. A little later, I also spotted our president, John, riding along Douro Street in North Geelong. So it wasn’t only women who were cycling today! 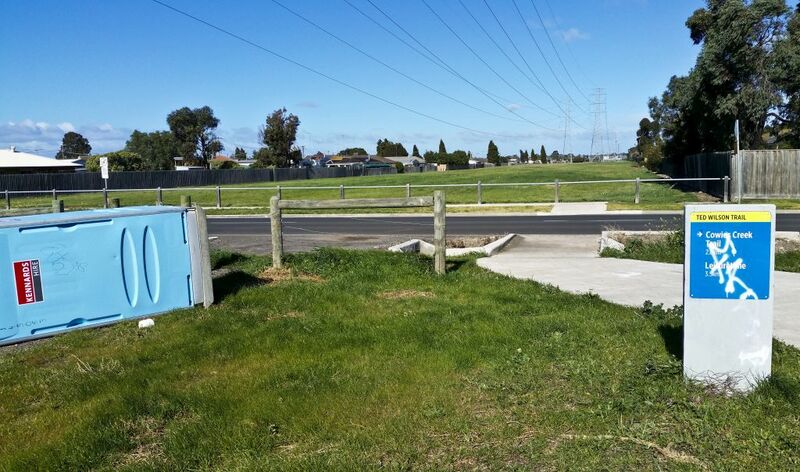 *Listen to 94.7 The Pulse FM next Saturday at 11am to hear how Heather got on on the opening of one of the paths along Kororoit Creek – another event on National Tree Day.